Have installed the floor – looks great. And really pleased with the quality of the product: sizing consistency, color and finish. Will have no trouble recommending your company. Great customer service. The box of flooring arrived damaged, I phoned and within 48 hours received a replacement box. Will definately be ordering from this company again. The floor turned out really nice. Better than we had hoped. We did the install ourselves and it was rather simple. I do wish I spent more time on the finishing touches though. Next time I’ll pay more attention and spend the extra time. I put in a large floor (19’x32′) in my photo studio. The underfloor is concrete and the cork over it makes it comfortable to stand for long periods and for clients! So many people have commented positively on it. I would do it again. I’m thrilled with the cork I ordered. It arrived in perfect condition and super fast!! Thanks for your amazing service and promptness. I will certainly use Flooring Store Online again. We ordered the floor from your dealer with absolutely no problems. We installed it ourselves per the instructions in about 6 hours, totally easy. 7 months later with two dogs running around the house and no issues with the floor, looks great. We definately will use cork for future projects. Many thanks! We love our cork floating floor for our bar in Dallas Texas. The customers love the flooring and we feel it adds a great ambiance to our establishment. We were concerned at first with how the floor would stand up to heavy foot traffic, spilled drinks, bar stools and high heels but with regular maintenance the floor still looks great. Pricing was very competitive, products and service was first rate. I was especially pleased with the assistance in determining all neccessary components for our installation needs. 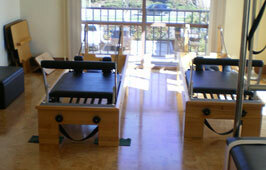 As a Pilates instructor we were looking for a floor that would hold up in a busy studio environment with large heavy equipment. After installing the flooring and adding several coats of polyurethane we have not had any problems with it in the last 3 years. The clients love it and this has been a perfect floor for our needs. 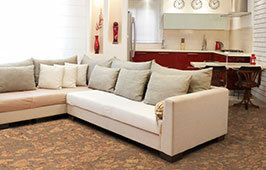 APC Cork offered the highest quality cork flooring at the best price, with on-time shipment and delivery. Customer service is excellent. The cork was easy to install and is a big improvement over the thin, worn carpet that previously was in our playroom. My shipment arrived very qucikly and without any damage. I even spoke to dealer over the phone about installation and in only one evening, I had installed a cork plank floor on my back porch complete with proper underlayments. Thank you for your guidance and customer service! My contractor found the cork floating strips easy to install and they look great. We have received many compliments on the floor, which is in our kitchen. It also cleans up well. We are very happy with it. Our cork floor is awesome. It was incredibly quick and easy to install. 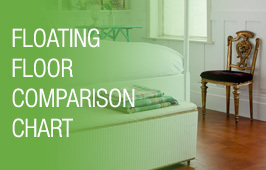 Especially compared to a traditional hardwood floor. There was also less mess and wasted material. It’s so warm and cozy in our bedroom, the New York winters don’t seem so cold. I may have to put it through out my house. We are extremely pleased with the APC Cork we purchased we were pleasantly surprised by the quality and appearance of the product. The cork is comfortable, but we’d recommend an additional cork underlayment for added comfort. This was an ambitous DIY project by our standards, but was surprisingly simple. I recently installed over 1700 s/f of cork in a spec. home and after selling it the new buyers were so impressed, that they requested an additional room of it. I definitely would install this product in my own home.